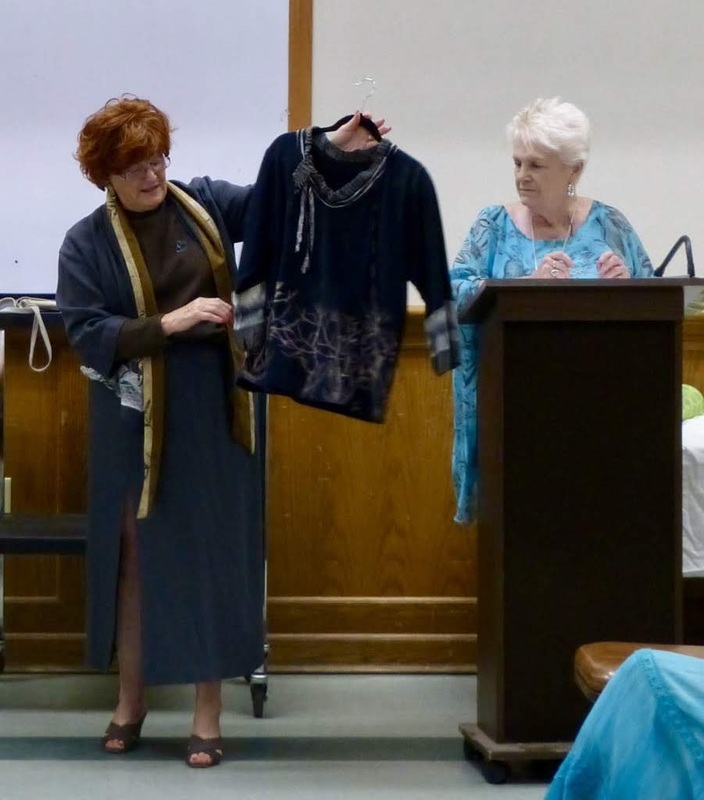 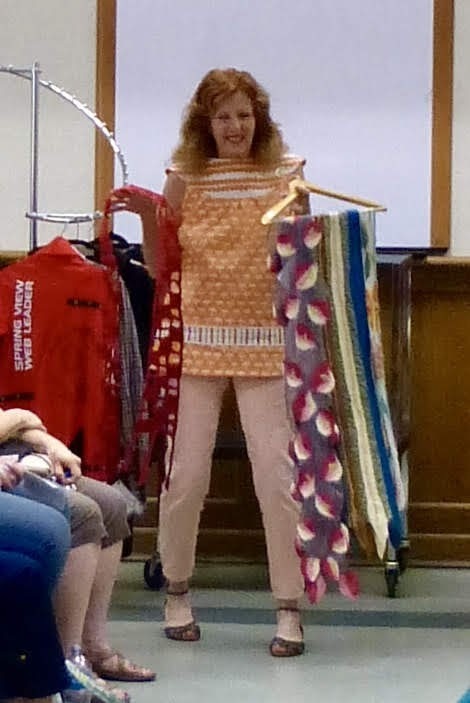 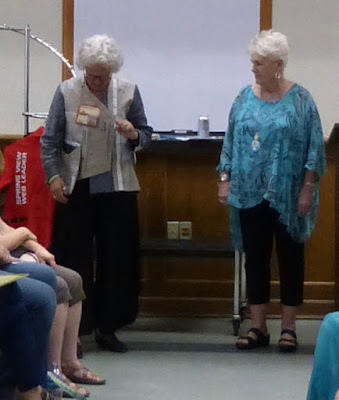 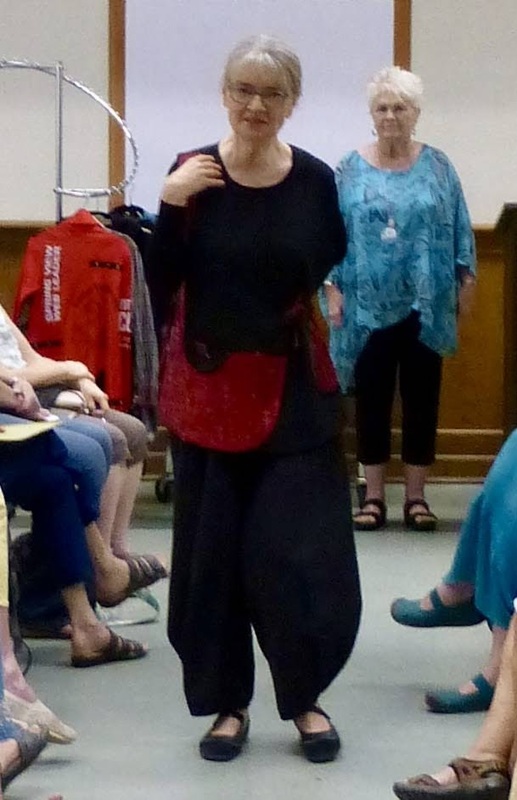 Our August meeting was a wonderful treat -- we enjoyed a potluck luncheon and an inspiring fashion show put on by the Sierra Wearable Art Group. 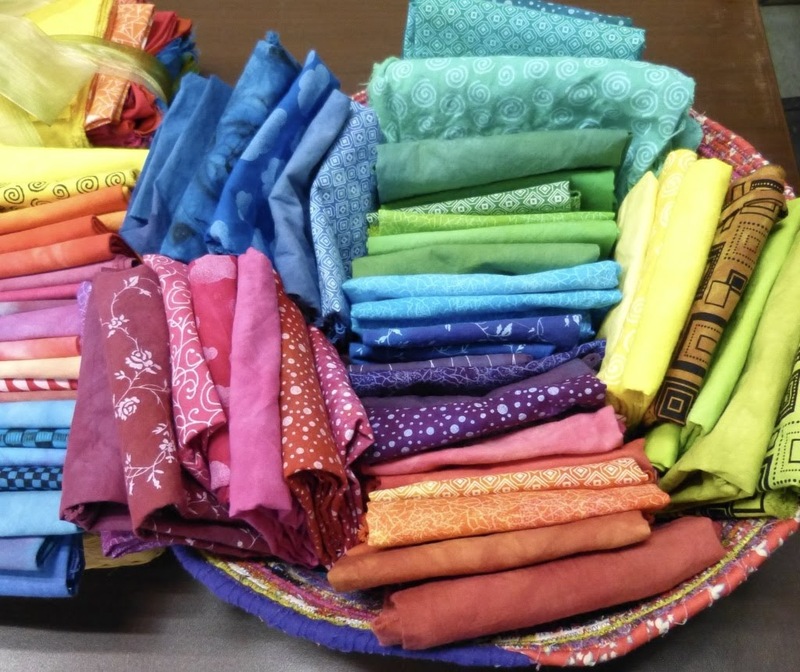 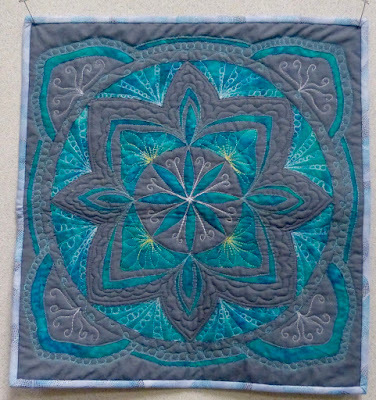 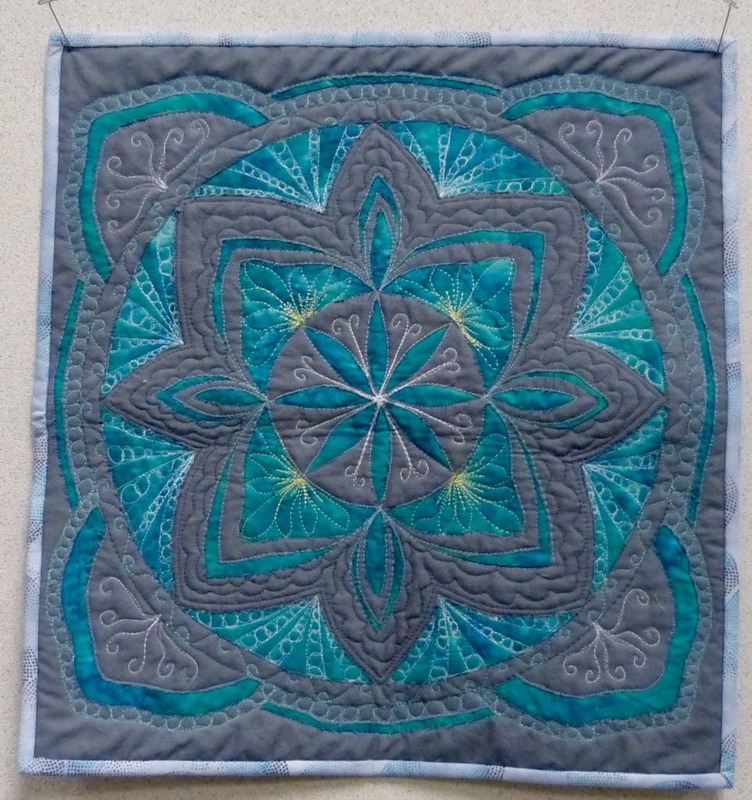 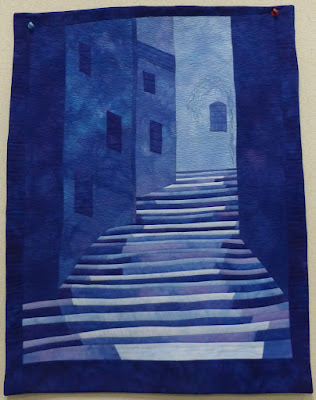 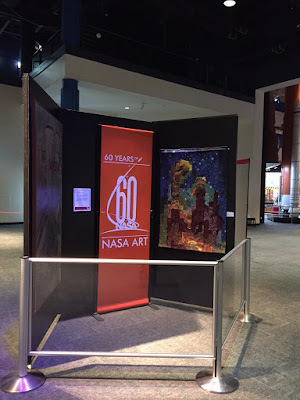 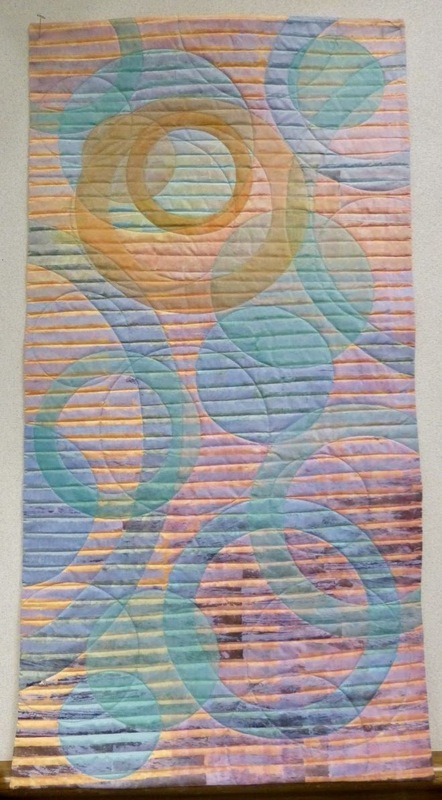 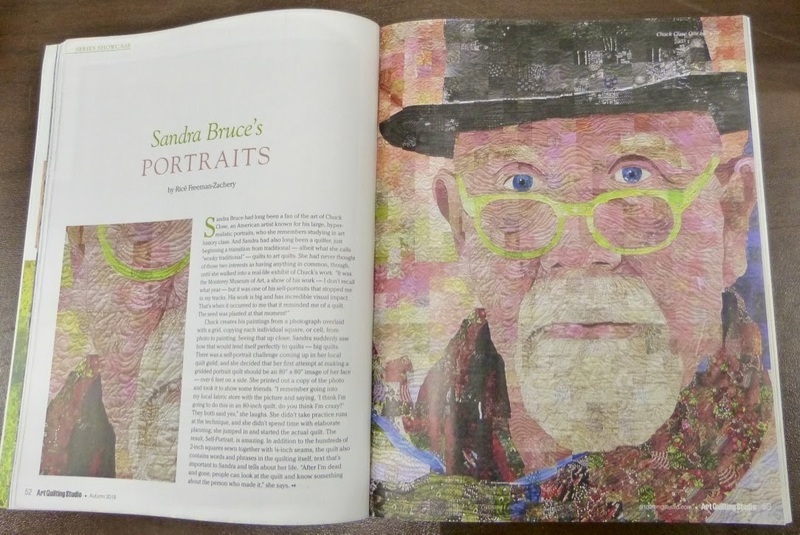 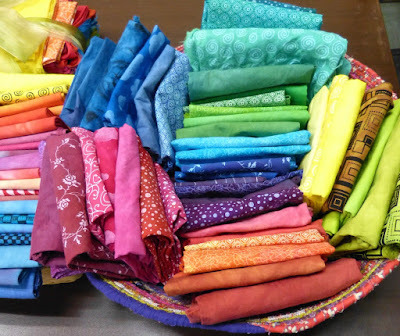 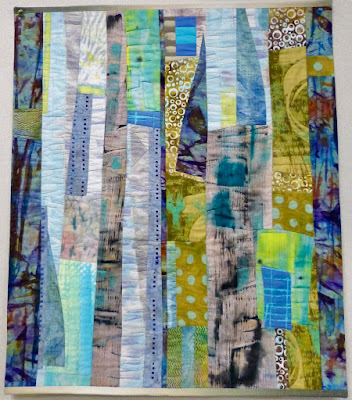 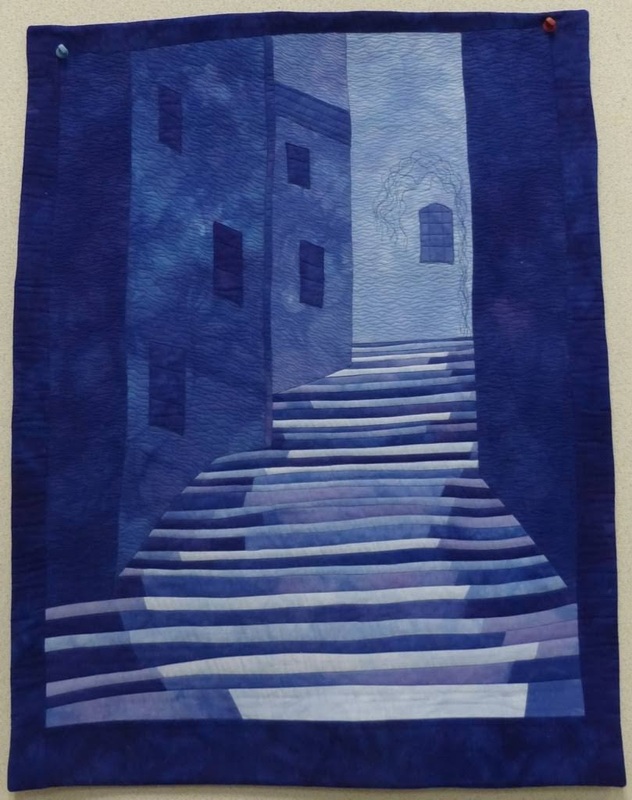 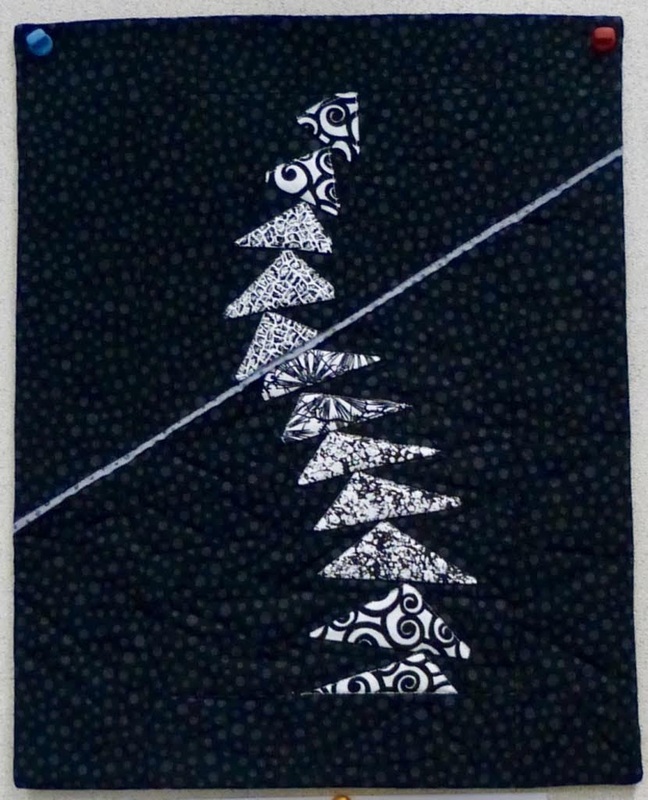 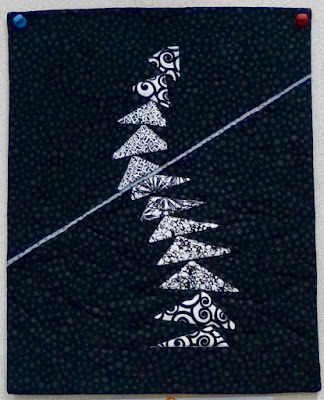 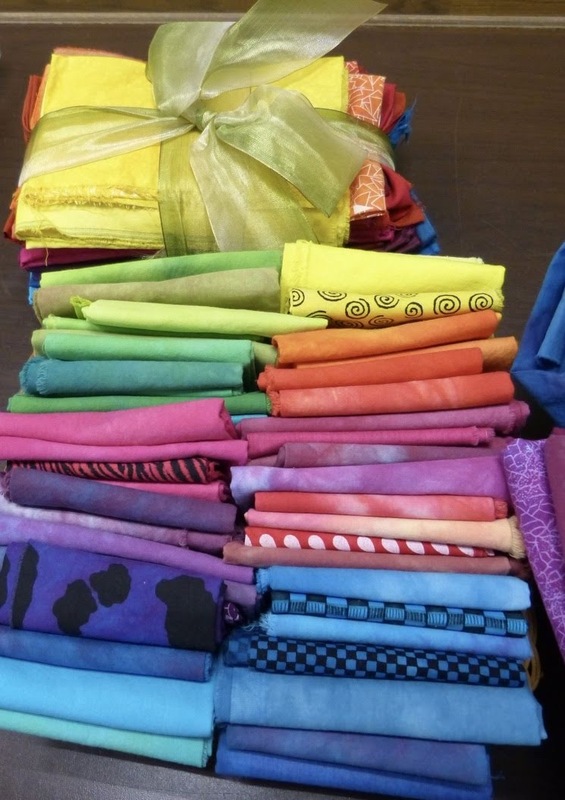 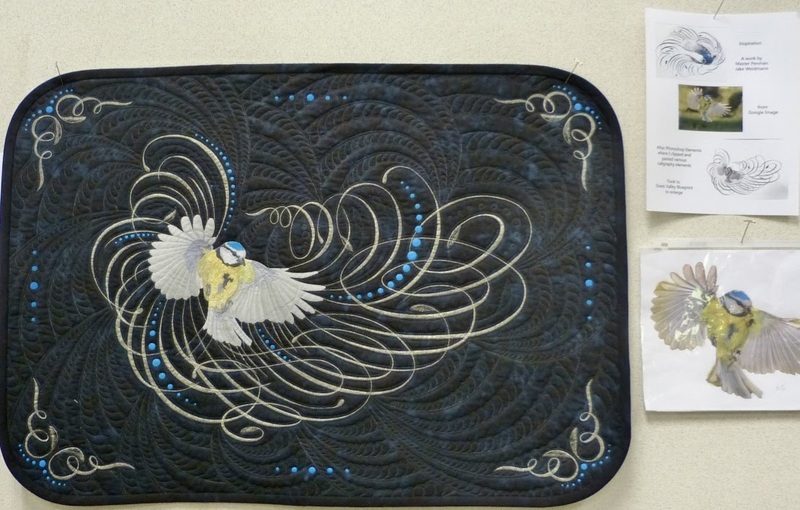 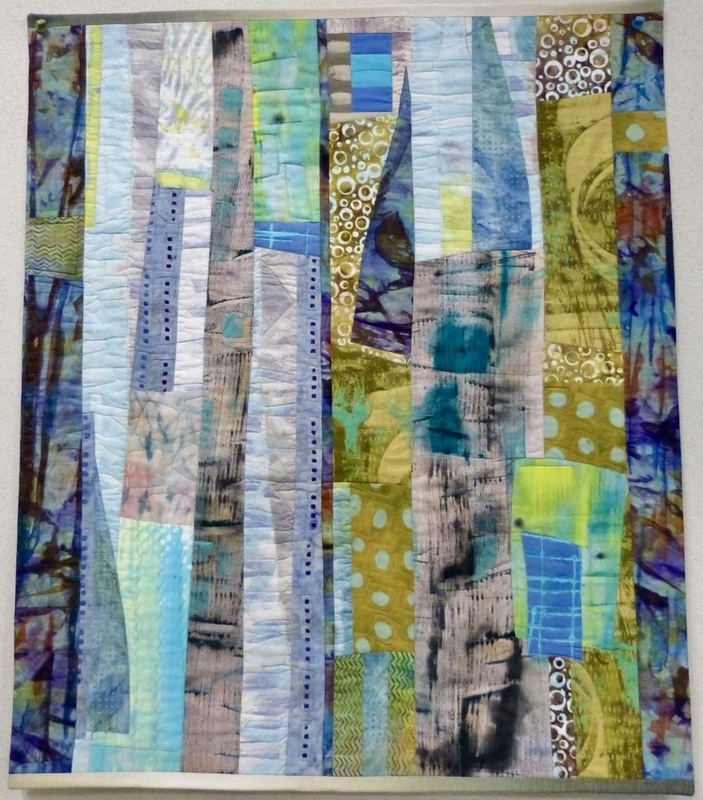 So, sit back, relax, and enjoy along with the ladies of Mountain Art Quilters. Linda Schafer with hostess and moderator, Jo Hathcock. 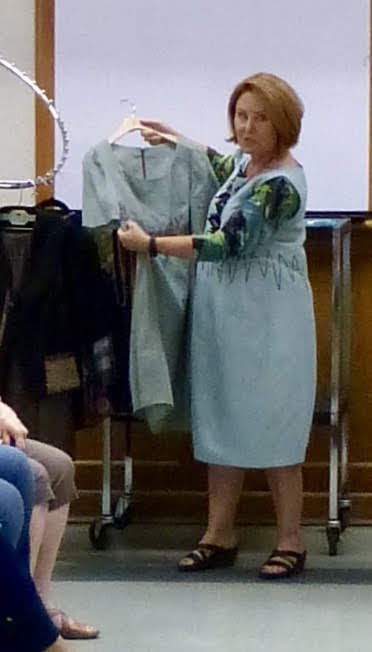 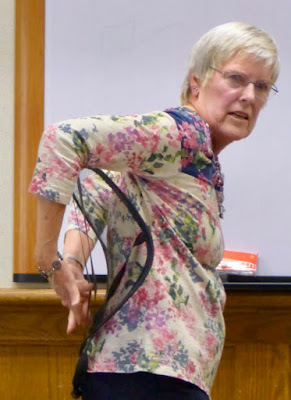 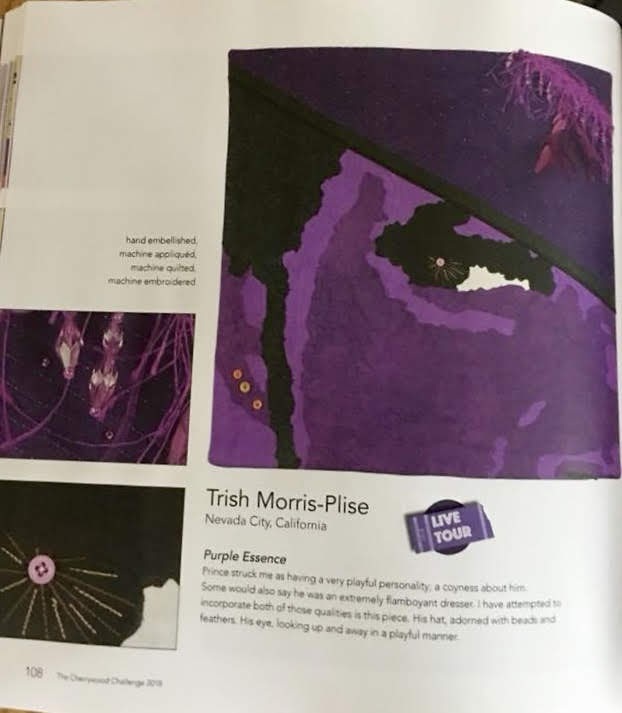 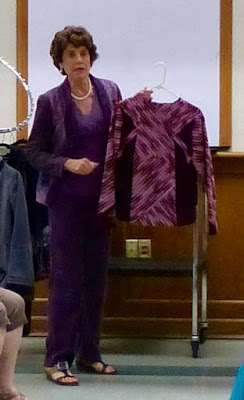 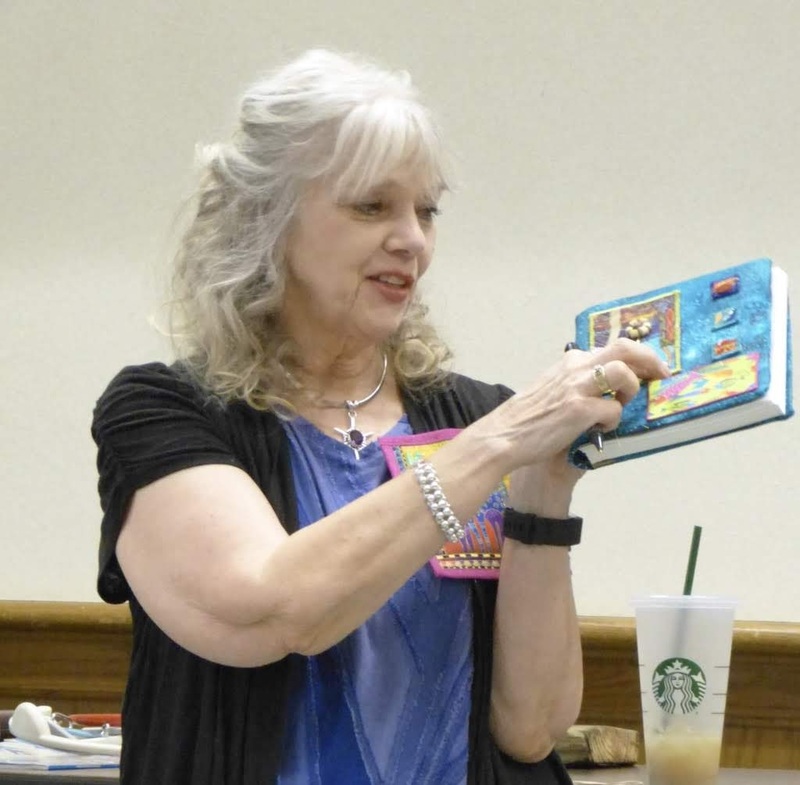 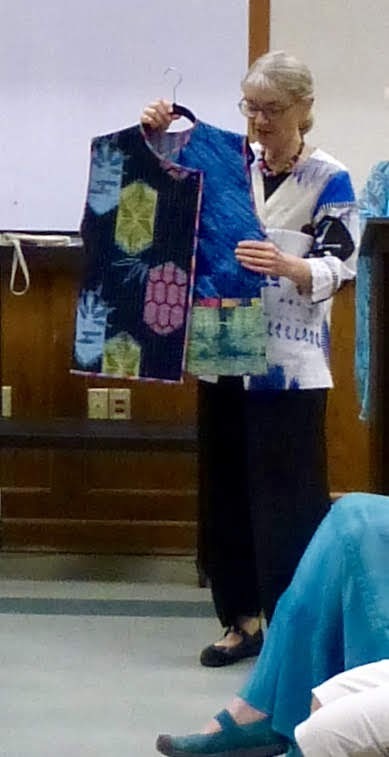 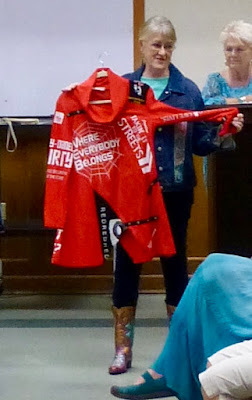 Janet Becker shared several items of clothing, including a jacket that featured the stitch and slash technique of Carol Ann Waugh. 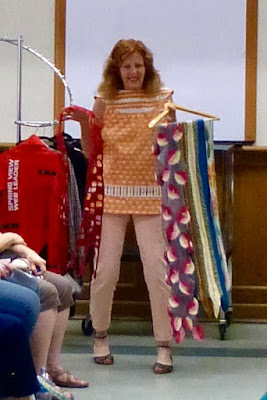 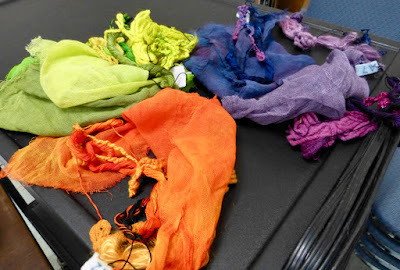 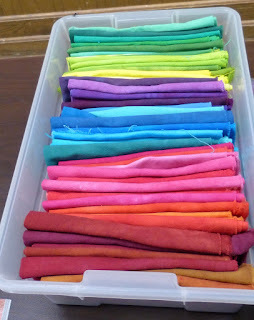 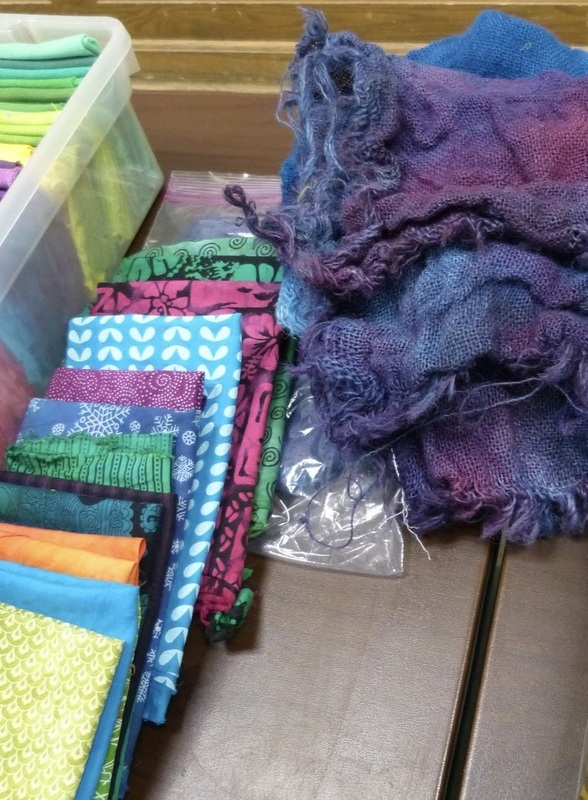 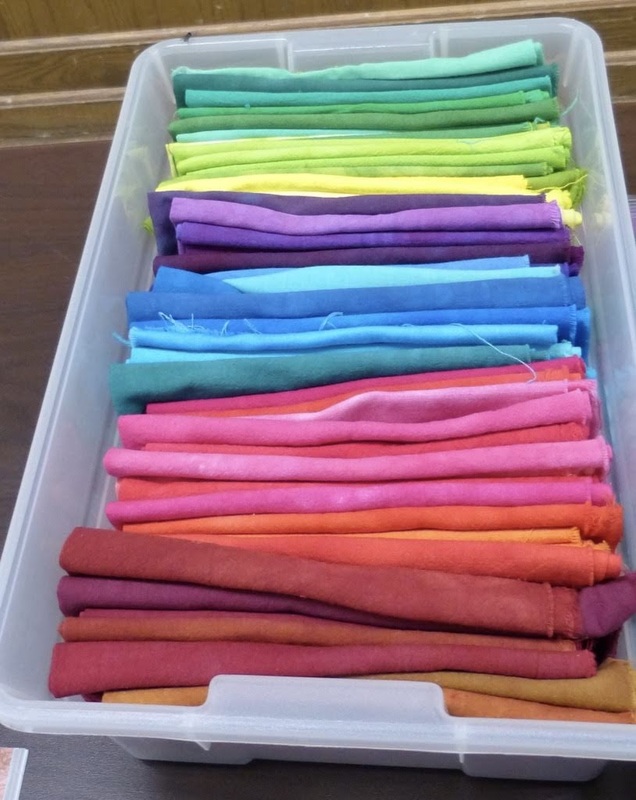 Suzanne Burr shows off her scarves. Her work can be found at her Etsy shop. 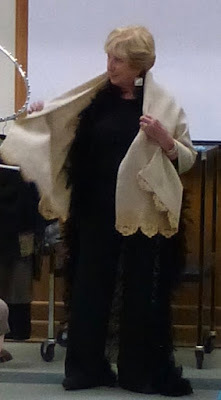 Christine Barnes models clothing by Mary Boalt who was unable to attend the show.